The original RC2014 serial I/O board is based on the Motorola 68B50. 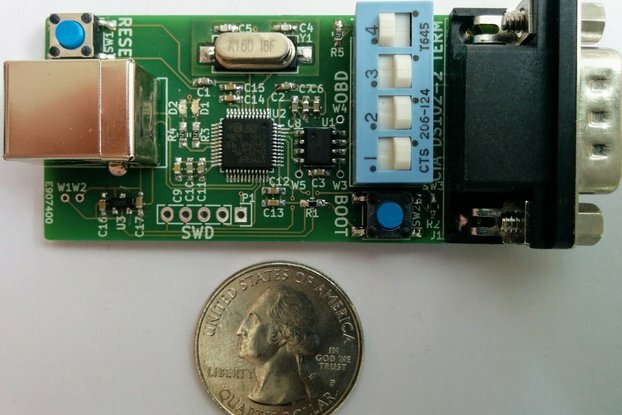 It is a good enough UART (universal asynchronous receiver transmitter) but may not meet all your needs. The 16C550 has 16-byte FIFO character buffers for both receive and transmit. This reduces the chances of character overruns if correctly set up. The baud clock is independent of the CPU clock. This means that you can run the Z80 at 20MHz (with my CPU+ Board) or any other CPU frequency while keeping the baud rate at 115200. The 16C550 UART can handle different CPUs speeds. I've tested successfully with a 20MHz Z80. 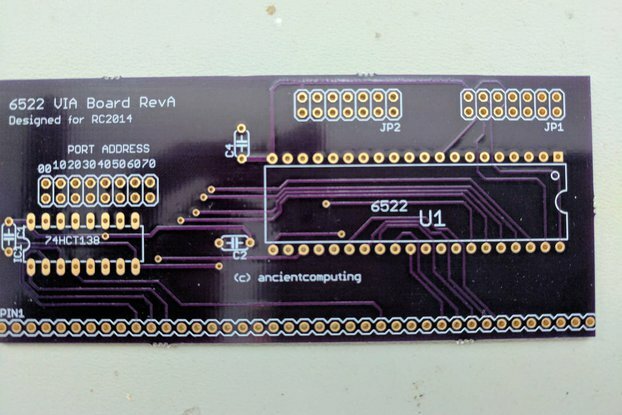 This RevC board allows you to choose one of several port addresses. You no longer depend on 80H and risk address collision with other peripherals. Unlike the 68B50 or other UARTs, the 16C550 in PLCC form factor is still commercially available from vendors like Mouser. Most importantly of all, this UART board is compatible with the various Z80, 6502 and 8085 CPU boards for the RC2014. Source code is found on GitHub here. For the curious, look for the AFE_16C550 routine to see how I enable autoflow control. The 16C550 UART Board is not a beginner project. You need to have at least intermediate soldering skills along with the tools, knowledge and ability to debug digital electronics circuitry and understand Z80 or 6502 assembly language. 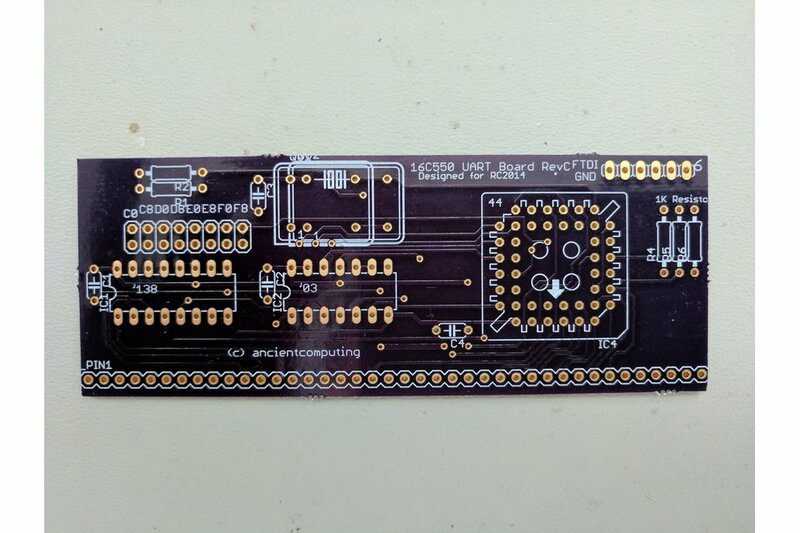 I use this serial board with my RC2014 6502 setup, it works well and does the job. The changable address and not requiring a sepeerate clock are useful features.